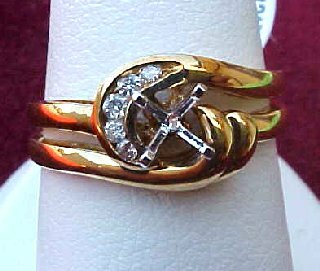 A beautiful 0.14CT round brilliant cut diamond of G Color, VS2 Clarity set in lovely 14K gold! 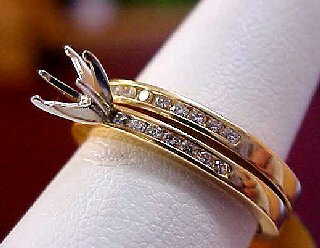 Popular marquise cut diamond with round brilliant cut diamonds channel set in 14K gold! The band is 11mm wide tapering to 4mm at the shank. A true classic in timeless platinum, set with round brilliant and baguette cut diamonds. 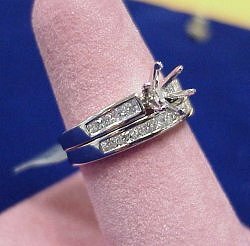 We have a large selection of loose diamonds in our inventory, let us help you pick the perfect one. Channel set in timeless platinum are 23 princess cut diamonds of G Color, SI Clarity. 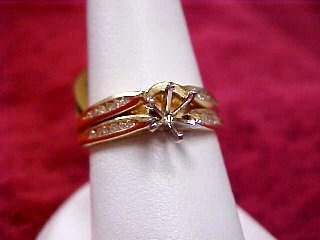 This semi-mount wedding set is ready to have a beautiful diamond set in it to make it complete. 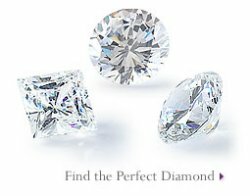 Take a moment to look at our large diamond inventory. 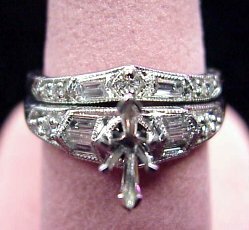 Check out this beautiful 2 pc. 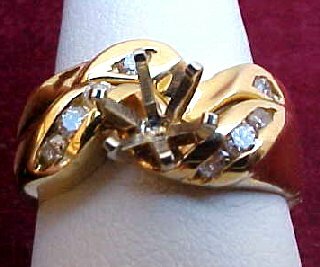 wedding set hand-crafted in 18K gold. 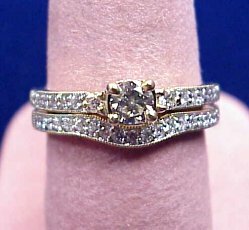 The ring contains 22 princess cut diamonds (1.5CT TW) of G Color, SI Clarity and of course, all set in 18K gold. This is a wonderful well constructed wedding set! 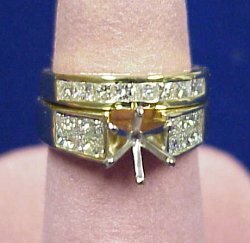 0.31CT TW round brilliant cut diamonds channel set into a solid 18K gold mounting! 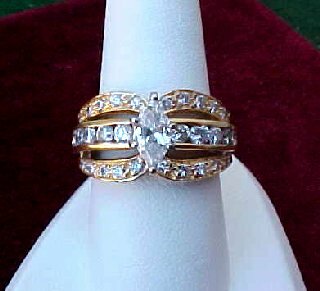 0.24CT TW round brilliant cut diamonds set in a 18K gold mounting! 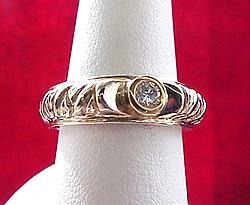 0.07CT TW round brilliant cut diamonds set in 14K gold! 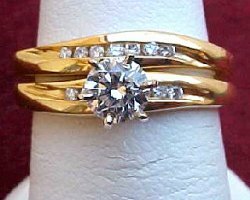 0.21CT TW round brilliant cut diamonds set in 14K gold!